It takes about 25 years to cook a good heart attack!! Take it out of the oven and get rid of it naturally, starting with a CT Heart Scan. Hidden heart disease with no symptoms is everywhere! The only way to know if you have heart disease is to have a CT Heart Scan with a calcium score. If it is positive, it can be arrested and reversed! If it is negative, you can take measures to keep it that way! 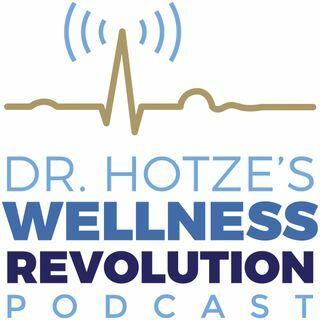 This week, Dr. Hotze is joined by world-renowned cardiologist, author, and health crusader, ... See More Dr. William Davis (author of best-selling books Wheat Belly and Undoctored) as they discuss the importance of a heart scan and teach us what the REAL causes of heart disease are. You will be surprised! By taking wheat and grains out of our diet, and adding vitamins C and D, our chances of getting heart disease are greatly decreased!! And stay tuned for part 2 next week where we continue the discussion. To find out more about Dr. William Davis, please check out his websites: https://www.wheatbelly.com/ or https://undoctored.com/.